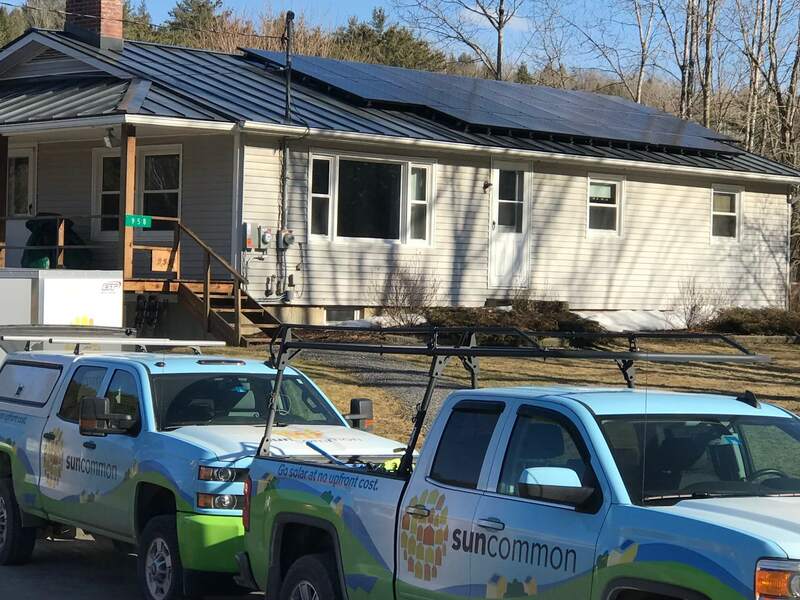 Photo Credit: Submitted photo - A Sunpower Photovoltaic System has been installed on the home of Deacon Peter Gummere in St. Johnsbury. Last year’s “Year of Creation” in the Diocese of Burlington got Deacon Pete Gummere and his wife, Mary Anne, thinking about what more they could do to have a beneficial impact on the environment. The St. Johnsbury couple actively has recycled for most of their married life, but they wanted to do more to care for “our common home,” as Pope Francis called Earth in his encyclical “Laudato Si’” (“On Care for Our Common Home”). The Gummeres, of Corpus Christi Parish, had looked at solar arrays about 10 years ago but were not impressed with what they saw then and determined it was not a prudent move at that time. Their Sunpower Photovoltaic System backed up by Tesla Powerwall 2 Battery System was installed in April at a cost of $31,000 for the photovoltaic system and $8,000 for the battery back up. The array is roof mounted, and “blends very nicely with the roof” of the one-story home, Deacon Gummere said. He estimates the system saves $130-$170 per month for household and barn electricity (the house is heated by gas) and that the system will “pay for itself” in about 10 years. “We have not paid for power (except for a grid-connection charge) for months now,” he said. The couple is delighted with the system; over about eight months the system has produced about eight megawatt hours. “That is estimated to have avoided nearly 5,700 kg of carbon dioxide emissions. It is roughly the equivalent of having planted 320 trees,” he said. In addition to caring for the Earth, Deacon Gummere said he and his wife were motivated to install solar panels to reduce carbon emissions, to create long-term expense reduction, to take advantage of tax credits and to reduce reliance on the electrical grid.